9797 EA BENIN (1979a) Hawaii*. Sailing ship*. 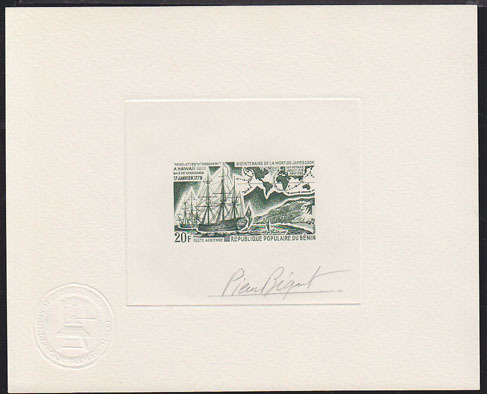 Die proof in green signed by the engraver BEQUET. Discovery of Hawaii. Scott No C288, Yvert No PA292. 9798 EA BENIN (1979b) Hawaii*. Landing craft*. 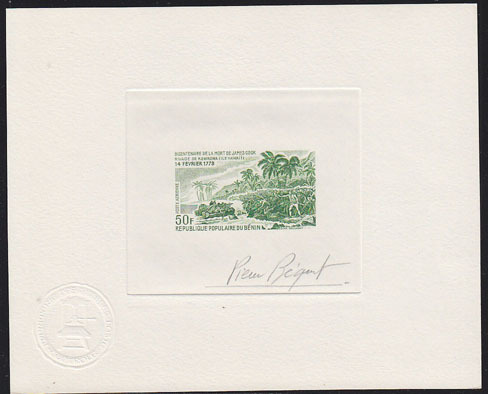 Die proof in green signed by the engraver BEQUET. Battle of Kowrowa. Scott No C289, Yvert No PA293. 19139 EA BENIN (1986) Amazon woman*. 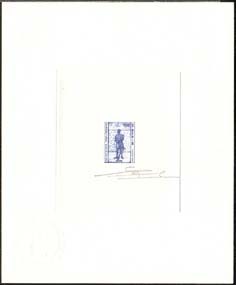 Die proof in blue signed by the engraver BETEMPS. Scott No 622, Yvert No 640.